The ThinkTech Hawaii multimedia empire, headed by Jay Fidell, is growing. In recent weeks, two new shows have been added to the network’s extensive lineup, hosted by two good friends. Local community organizer L.P. “Neenz” Faleafine yesterday kicked off “Reaching Out,” featuring “conversations around the social side of the Internet.” And Dan Leuck, CEO of Ikayzo and founder of TechHui, is hosting “New Media: The Bleeding Edge,” along with colleague Tzyh Ng. ThinkTech, a non-profit tech advocacy firm, brings its stories to print, radio, television, and the web, and also organizes local events. And in the last year, the number of shows hosted on the network has exploded, with more than two dozen hosts (from state Rep. Angus McKelvey to non-profit advocate Lisa Maruyama to dancer Willow Chang). Just looking at the log of videos posted to YouTube in the past week reveals nearly 24 hours of programming. The debut episode of “Reaching Out” was titled “WTF is Social Media,” and featured my frequent partner in crime, Burt Lum. 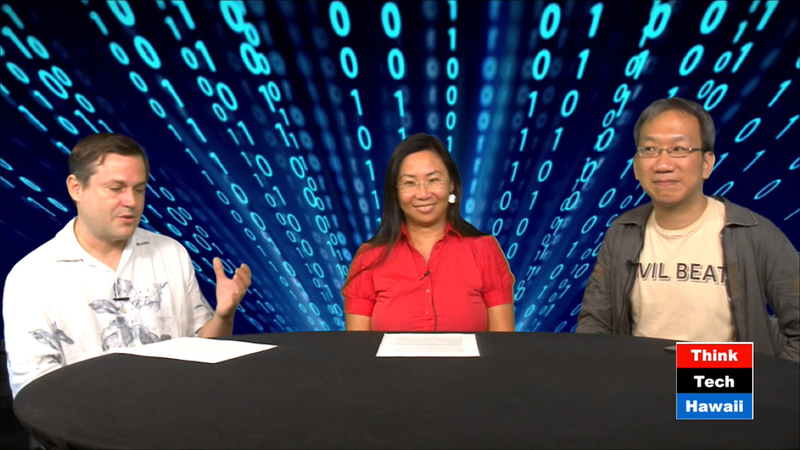 Meanwhile, the debut episode of “New Media” was “Intersection of News and Social Media Technology,” and featured Gene Park, engagement editor for Civil Beat.